Portable test equipment indicates air velocity for wind speed. 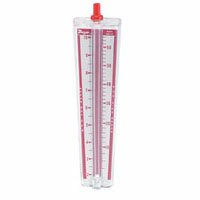 Some products for ideal for weather monitoring stations and others are handheld devices. A few models are accompanied with accessories. 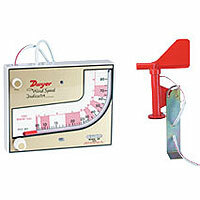 Wind Speed Indicator is a molded white plastic instrument that indicates wind speed directly on liquid filled scale. Low cost and practical. 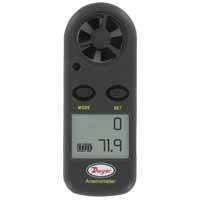 Portable Wind Meter that is a direct reading with no calculations. Made from sturdy plastic and has a case. 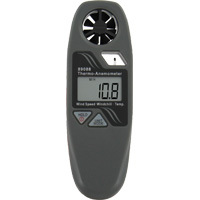 Pocket Wind Meter is a handheld device that features automatic shut-off, detailed instruction manual and protective plastic water resistant that floats. Pocket Wind Meter measures wind speed, temperature, and wind chill. Features a data hold button and a five minute automatic shut-off. Includes a battery and a carrying cloth.